Dubai, United Arab Emirates, 24 March 2018: Dubai Culture & Arts Authority’s (Dubai Culture), the Emirate’s dedicated entity for culture, arts and heritage, has launched a ‘Best Book Cover Design’ competition for a book the Authority is going to publish entitled ‘Zayed the Leader’, which is due to be released during the ‘Year of Zayed 2018’. The book captures the life and values of the late Sheikh Zayed bin Sultan Al Nahyan, the Founding Father of the UAE and one of the most inspiring, wise and visionary world leaders of all time. 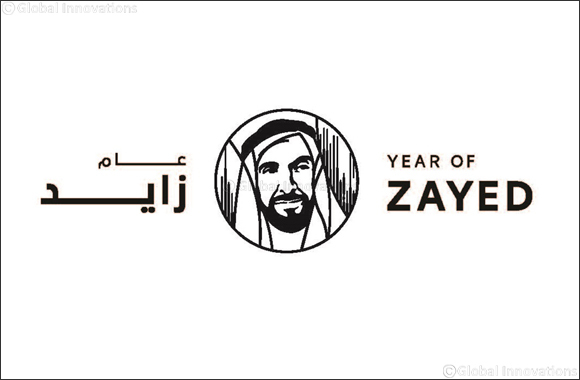 The competition is open to all designers in the UAE to create a unique ‘Year of Zayed’-inspired cover design that captures the contents of the book and reflects the late Sheikh Zayed’s personality in its simplicity and strength. Saeed Al Nabouda, Acting Director General of Dubai Culture, commented: 'The ‘Year of Zayed’ is an incredibly important and precious occasion for the whole nation, as it encourages us to remember and cherish the values that the late Sheikh Zayed instilled in us all. Dubai Culture organised and will continue organising a range of events and initiatives that uphold these values and promote the wisdom, respect, sustainability and human development he advocated. Al Nabouda pointed out that the late Sheikh Zayed’s principles and values were and will remain the foundations of the UAE, while his leadership continues to be a source of inspiration to the world. During his time as the President of the UAE, he established the state’s pillars with love and affection, embraced the good, shaped virtuous international relations, made sincerity, loyalty, justice and equality central UAE values, and built the foundations for a future based on security, safety, tolerance, happiness and innovation, making the UAE a global role model. Participants in the competition are encouraged to draw on the contents of ‘Zayed the Leader’, which includes eleven chapters focused on Zayed's values, history and philosophy. The chapters are: ‘The Nations’ Leader’, ‘The Man of Dialogue and Wisdom’, ‘The Innovative Activist’, ‘The Man of Challenges’, ‘Abu Dhabi Keeps Pace with Change’, ‘Zayed’s Leadership in the UAE’, ‘Paving an International Road’, ‘The Man of Diplomacy and Peacemaker’, ‘Develop an Ambition to Build the National Economy’, and ‘The Legacy of the Past in the Eyes of the Future’. The competition is subject to a set of terms and conditions, which stipulates that the design must be entirely original and never previously submitted in similar competitions. Each participant can contribute up to three designs but no more, and they must accompany their application with a CV including their personal details and any previous awards, entries must be submitted by 30th March 2018 and the winner will receive an appreciation certificate and a cash prize worth USD 10,000.